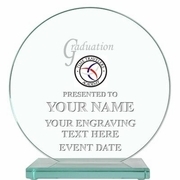 Our customized crystal graduation plaque is 4" with the Time Travel Academy engraved logo. 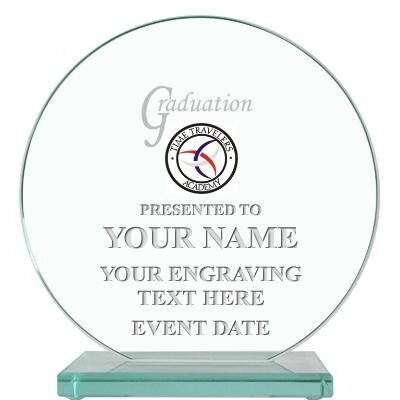 We will customize the plaque to your wishes. Here are some ideas: My son/daughter graduated from the Time Travel Academy. My son/Daughter successfully past Time Travel 101 at the Time Travel Academy.